Elie Wiesel, as usual, cannot make up his mind. Wiesel recounted his rescue from the concentration camp by the U.S. Army and said he remains grateful. So which is it? Did they cry or didn’t they? It seems you get to choose which version you like best. I pointed out in this article on the Xavier speech that this was the first time I had ever heard or read Elie Wiesel say that he or his barracks-mates cried. Since this Blog takes the position that Wiesel was not even there (in Buchenwald), it’s kind of a mute point–except for the fact that it’s one more reason not to believe he was there. He can’t keep his “story” about it straight. 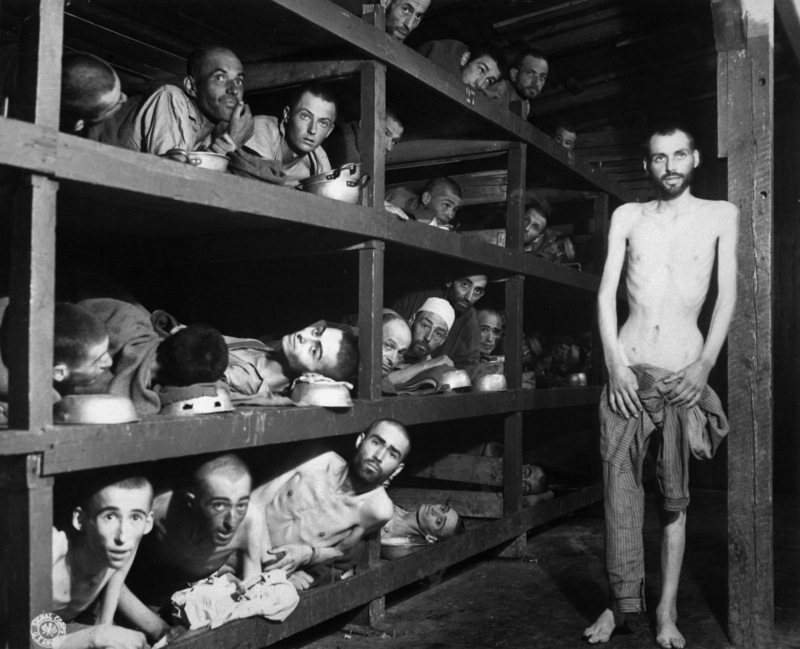 Wiesel embellished his Buchenwald liberation tale when he was interviewed by Oprah Winfrey, too. As I recounted in this article, he told Oprah in Nov. 2000 that the first thing the religious boys in his barracks did was to “reassemble” and offer prayers for the dead–yet in his books he made a point to say the only thing anyone did was go after the food provisions. He wrote that they had no thought of their families nor of friends, only of food. Considering all this, we arrive at a crucial question about the Holocaust. The fate of nations may hang on it! What does it mean if Memory, that sacred human ability on which the entire holocaust narrative rests, cannot be depended upon? Elie Wiesel’s memory is clearly not reliable. Yet he himself has made everything depend on memory. He wrote: “I shall never forget that night, the first night in camp […] never shall I forget those moments … ” and so on. But he must have forgotten some things since his story doesn’t remain consistent. Memory itself–the act of remembrance–is just not what Elie Wiesel makes it out to be. For Weisel, it’s more like these words he is famous for saying: Some things are true though they didn’t happen, while others are not, even if they did. That is how we tend to remember! In his case, Elie Wiesel was liberated from Buchenwald, even if he wasn’t … and it’s not true that the prisoners were only interested in food, even if they were. Memory–it’s such a flexible thing. In January, I featured a “Letter of the Week” and said when we got another letter as good as Hailey’s, or almost as good, I would feature it in the same way. Well, Elie Wiesel Cons The World recently received two comments, spaced 2 days apart, that are almost as good as the letter from haileylovespink. This wording has a familiar ring to it, but I won’t speculate about who it might be and just accept it as is. 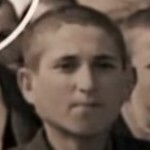 Shelby, you seem to be admitting Wiesel lied about being in the picture (famous Buchenwald liberation photograph), yet you are still sure he was there. Are you fantasizing? Without evidence, you cannot say for sure he was there just because its been assumed all these years. You also call lying about being in the picture a “so what.” Shelby, it’s not “so what.” This is not just any picture. It happens to be the only “proof” that he was there. Further, it reveals a serious moral failure. 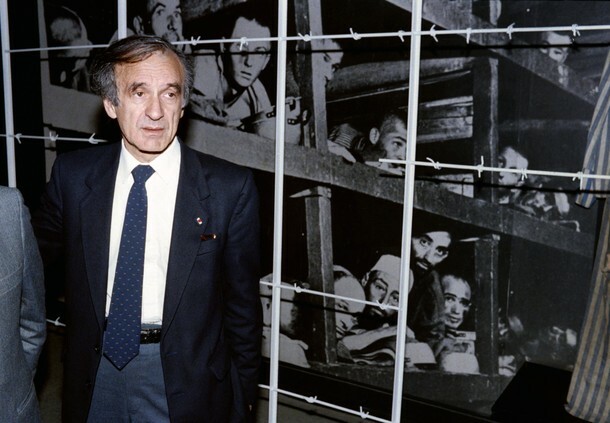 Elie Wiesel knows whether he’s in that picture or not; he himself cannot be fooled about it. So you are right, he lied. He lied in order to get a Nobel Prize. As to what Wiesel “has been through” in his life, he was, according to him, in German custody for one year, from May 1944 to April 1945 … after that, he had everything good done for him. One bad year out of 83 years in all … I’m sure many people would be happy to trade that with him. So your sympathy for someone you don’t know (or do you? ), and don’t really know anything about, is wasted and even foolish. As to me being dissatisfied with my own life … well, you don’t know that, do you? I’m happy to report to you that is not the case. this website is truly disgusting, so what if Elie isn’t documented properly within the records, you do realize Nazi’s didn’t bother documenting EVERY SINGLE PERSON to go through each camp, they could care less. Not all records will be accurate, and regardless if Elie did live in Buchenwald or not makes no difference, but why a man who has suffered and endured so much, lie about where he’s been, for every historian or writer who thinks any holocaust survivor is lying about their experinces cannot speak on their behalf because they have not been in same position. Sarah, you also say “so what” … so what if Wiesel isn’t documented, makes no difference to you. In fact, it even makes no difference whether Elie ever lived in Buchenwald. But if Elie didn’t live in Buchenwald, his entire story is false, Sarah. Can’t you understand that? You are a real believer. What does make a difference to you appears to be that those who are not holocaust survivors have not been in the same position … therefore we cannot accuse the survivors of lying. Sarah, just like Elie, you fall back on the position that “holocaust survivors” are beyond the understanding, and therefore the criticism, of we ordinary mortals. That is holocaustianity–a belief–not history or science. The doctrine of holocaustianity is: Don’t ask questions; those who ask questions are disgusting unbelievers. I invite Shelby and Sarah to write again; they are always welcome here. In the meantime, here is an idea for them to consider: Get Mr. Wiesel to show all of us his tattoo that he claims to have on his arm and that will go a long way toward shutting us up. It’s great to see what kind of world we live in………so far I don’t see any sites denying the Rwanda Genocide, so is that what’s next, worldwide denial of that, or can we just refer to all the videos of the dead bodies along the road…..OH WAIT, didn’t we see that in the concentration camps? I welcome the opportunity to discuss with you all that you have brought up. But first I have to chide you for changing the subject. You gave up on defending Elie Wiesel very quickly, but you still don’t want to admit he lies. You admit the tattoo is not where it should be but you leave out that he says it is there. Doesn’t this alone make him something of a con man? What else would you call it? A liar? A mental case? A person who thinks he is above all rules and/or physical laws? Please explain to me why he would say he has an A-7713 tattoo on his arm when the rest of the world can see that he doesn’t. I’ll give you a hint: he is very ambitious; and he knows the Media will never bring it up, will never ask him about it. He knows the all-powerful Media is in the hands of His Friends. You bring up his novels. How many of his novels have you read? Only Night? You ask if I could write such a novel without being in the camps. The answer is yes because others have done it; quite a few fraudulent concentration camp stories have been uncovered. 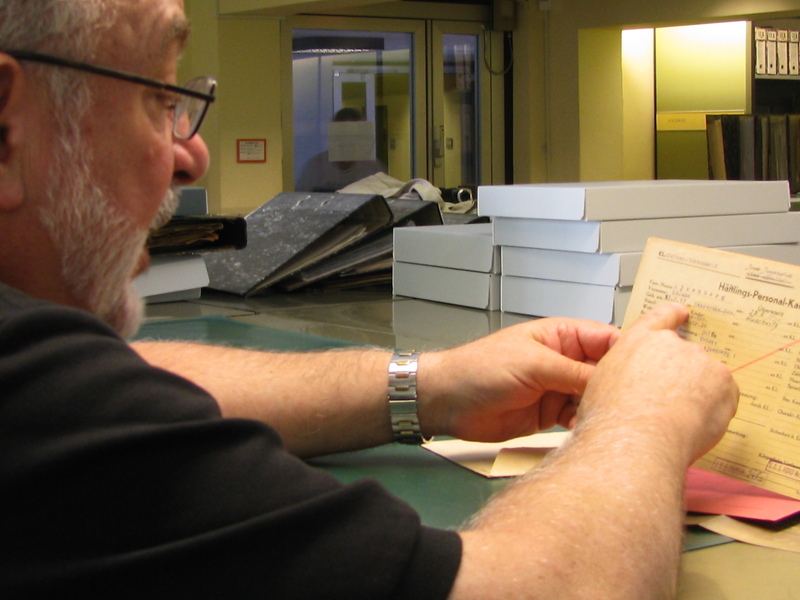 Almost all holocaust survivor books are half fiction. There is so much literature about the camps out there, all you have to do is read it and then write your own. Also, Night has many un-credible and inaccurate passages (some even copied on the sidebar of this website) that have caused critics to question whether Wiesel was actually there — long before Myklos Grüner came on the scene with documents. In all sincerity, Sarah, I don’t think you could defend the book Night if you had to. At this point you jump to Bergen-Belsen, since you have not made your case about Wiesel. This is what holocaust believers invariably do. But this website is only about Elie Wiesel. I stick to that so people can’t change the subject on me and go around in circles as you’re doing. 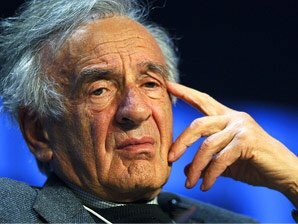 It’s clear to me that you realize Elie Wiesel cannot be defended, as many are coming to realize, but you don’t want to talk about it. You say calling Wiesel a con is not the right way to go about it; that yes, he may be lying but his book is so good. This does not make sense. He is or he isn’t. The facts say he is, which you recognize. You only sound silly, Sarah, because you’re trying to defend the indefensible. So you say to me: “why do you spend so much time trying to prove 1 man wrong, regardless if he’s never even set foot on a camp soil, the Nazi’s had a final plan to kill all Jews, they almost accomplished just that …” If the Nazi’s had such a plan (which has never been discovered) they certainly didn’t come close to killing all Jews. 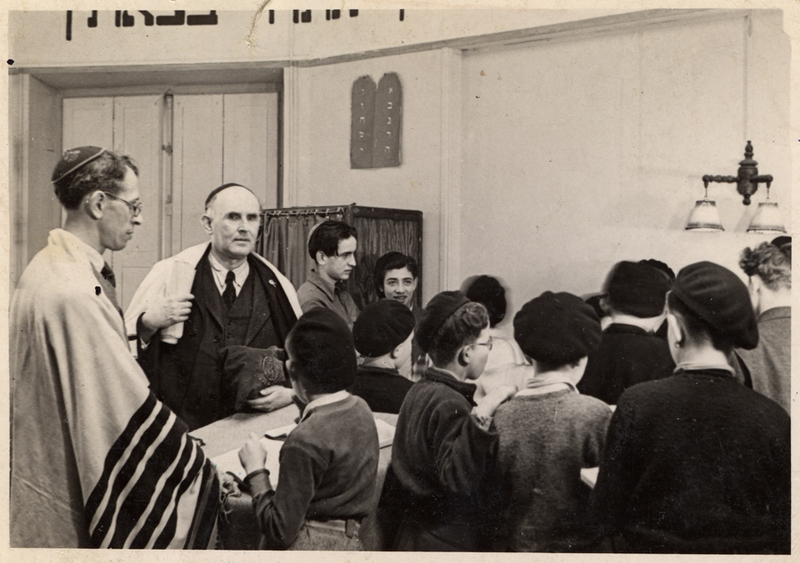 There were more Jews than ever shortly after the war, moving and emigrating all over the world. Real statistics prove it. The world has no shortage of Jews. But to get back to Elie Wiesel, do you admit he is a fraud? Are you really going to argue that whether he is or isn’t, he should be left alone and remain the icon of the Holocaust? Are you that comfortable with dishonesty? Should the Holocaust stand on fraud? These are serious questions you and all Jews should consider. Further replies follow in the Comments section below. A dear reader has brought to my attention something that I covered in “The Shadowy Origins of Night, I, II and III”, but which deserves revisiting in order to shine a brighter light on some perhaps small, but meaningful, details that impact on the question of whether Elie Wiesel is the author of the Yiddish-language Un di Velt Hot Gesvign (And the World Remained Silent). If we start with the map provided in “Shadowy Origins of Night, Part II,” we notice that Sighet is not in Transylvania, but in Maramures [sometimes called Marmaros], a district distinct from Transylvania. We see that Sighet is the only city shown in the eastern half of Maramures and is exactly on the border with Czechoslovakia. It is totally reasonable for a man born in 1913, as was Lazar Wiesel, to write such a description since, at the time of his birth, Sighet was indeed part of the Austro-Hungarian Empire. After WWI  it became part of Romania when the borders of Central and Eastern Europe were “rearranged” by the victorious powers [France, Britain, United States]. Then, in 1940, at his age of 27, it again changed rulers and borders, and became German-allied Hungary. Lazar Wiesel lived through all these changes. He was old enough to understand them. 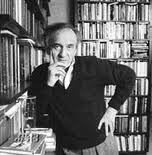 As a man in his thirties at the end of the war, and his early forties when the book was published in 1955, Lazar Wiesel could be expected to write a comprehensive account of his experience—not only a good deal of historical/political material on his hometown and its townspeople, but covering his personal political/religious beliefs also. And this is indeed what we know is contained in the published book, Un di Velt. 2 Taking eight to nine years to complete the entire 862 pages of it, if that’s what it was, is quite reasonable, and even to be expected. This makes a great deal more sense than Elie Wiesel’s incredible description of frantically typing 862 pages of “memory” during an ocean voyage to Brazil, without pre-planning, reference materials or access to other persons. that little town in Transylvania where I spent my childhood. Nothing more. Why does Elie Wiesel say that Sighet was in Transylvania? Could it be because the average person might recognize that name in association with Hungary and/or Romania, while they would not recognize Maramures or Marmarosh? And why would the author’s hometown go from the largest city in the entire province to a little town, presumably of no significance? 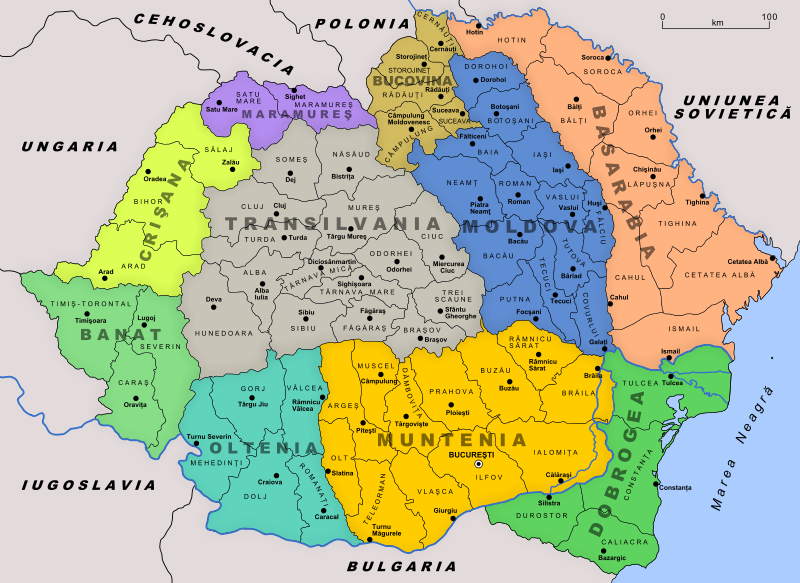 While it is true that more recently Maramureş, Romanian Crişana and the Romanian Banat are sometimes considered part of Transylvania, it is not precisely so. An inhabitant who identified with his region would probably not put it that way, but someone for whom the geography held no special place in his mind, heart or memory, this kind of generalization might be preferred. For example, if I don’t want a person[s] to know much about me or ask me questions, I will say I was born in the American mid-west and hope to leave it at that. If I don’t mind more being known, I’ll say exactly where, and give some detail. I know, because I do both and it’s very clear to me why. Whatever the reasons Elie Wiesel had to cloud the picture of his hometown, it is clear that he and his publisher wanted to emphasize some things, de-emphasize, or delete, others, and shorten, shorten, shorten. This fictionalizes the account. For me, the crux of whether to accept Elie Wiesel as the author of Un di Velt comes down to that odd paragraph in his 1995 memoir3 describing the burst of unbelievable energy that came over him while on a ship traveling between France and Brazil, when he typed 862 pages of 9 year-old memories on a portable Yiddish typewriter within no more than a two week time period.. Think back nine years in your own life and discover just how clearly you can remember everything that took place. Yes, his was an exceptionally traumatic time, but that doesn’t necessarily make one’s memories any clearer, just that certain parts stand out from the rest. 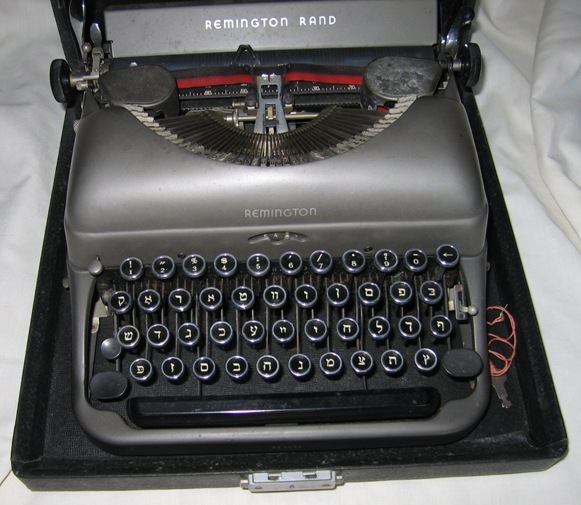 Also, for me as a writer, just that high amount of sustained, concentrated typing would be an impossible task. Another difficulty is that Wiesel didn’t describe the writing of his original manuscript until it appeared in his memoir, where, as I continue to remind, he gave it only one short paragraph! Or, if you will, a few sentences. I said above that it is a lot to swallow. I want to make it plain right now that I cannot, and thus do not, swallow it. I am convinced Elie Wiesel did not write Un di Velt Hot Gesvign [And the World Remained Silent]. I think it remains for him to prove that he did so, since his attempts at that so far only make us doubt it the more. He can begin by answering some of the many questions put to him on this website, as they are not frivolous or unfair. [I]t remains unclear how much of Wiesel’s story is memoir. He has reacted angrily to the idea that any of it is fiction, calling it his deposition, but scholars have nevertheless had difficulty approaching it as an unvarnished account. The Yiddish version was an historical work, political and angry, blaming the Jewish concept of chosenness as the source of the Jews’ troubles. Wiesel wrote in the 1956 Yiddish version: “In the beginning was belief, foolish belief, and faith, empty faith, and illusion, the terrible illusion. … We believed in God, had faith in man, and lived with the illusion that in each one of us is a sacred spark from the fire of the shekinah, that each one carried in his eyes and in his soul the sign of God. This was the source—if not the cause—of all our misfortune. At the website Yahoo!Answers, the question is asked: Discuss the significance of “night” in the novel Night by Elie Wiesel? Amazon.com […] had been categorizing the new edition of Night under “fiction and literature” but, under the categorical imperative of Kakutani’s “memory as a sacred act”9 or a phone call from Wiesel’s publisher, hastily switched it to “biography and memoir”. Within hours it had reached number 3 on Amazon’s bestseller list. That same evening, January 17, Night topped both the “biography” and “fiction” bestseller lists on BarnesandNoble.com. 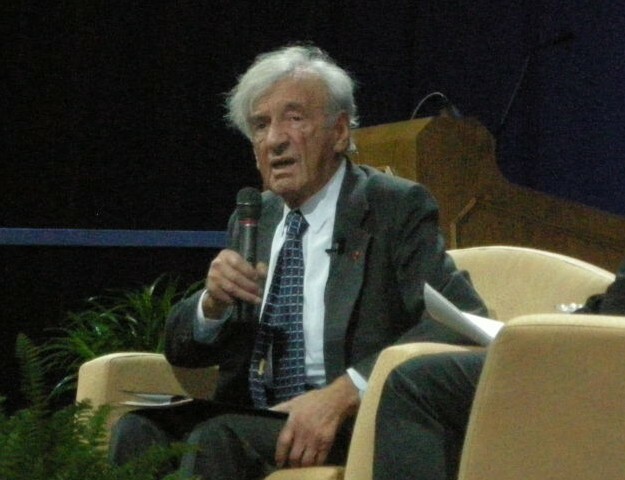 “In 1981, Wiesel invited me to give a talk to his seminar students at Boston University. In the course of my talk, I discussed the relationship between memory and imagination in a number of literary works. 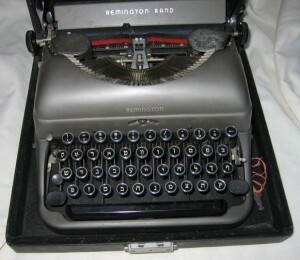 I then pointed out the literary devices he used in Night, devices, I stressed, that make the memoir a compelling read. Wiesel’s reaction to my comments was swift as lightning. I had never seen him as angry before or since. In the presence of John Silber, the then President of Boston University, and my own Brown University students whom I invited, he lost his composure, lashing out at me for daring to question the literalness of the memoir. In Wiesel’s eyes, as in the eyes of his disciples, Night assumed a level of sacrosanctity, next in importance to the giving of the Torah at Mt. Sinai. In terms of veracity, it is a factually recorded work, virtually meeting Leopold von Ranke’s benchmark of historical accounts: Wie es eigentlich gewessen, how it really was. Beyond all the well-known fictions in Night, there are some that may have gone largely unnoticed. For example, another dear reader pointed out that on page 68 of the 1960 edition,10 a hanging is described as taking place at Buna [Monowitz]. Says my reader: This is enough in itself to prove that Wiesel had never been around any SS personnel. One day when we came back from work, we saw three gallows rearing up in the assembly place, three black crows. Roll call. SS all round us, machine guns trained: the traditional ceremony. Three victims in chains—and one of them, the little servant, the sad-eyed angel. This time the Lagerkapo refused to act as executioner. Three SS replaced him. The three necks were placed at the same moment with the nooses. “Long live liberty!” cried the two adults. But the child was silent. Total silence throughout the camp. On the horizon, the sun was setting. “Bare your heads!” yelled the head of the camp. His voice was raucous. We were weeping. For more than half an hour he stayed there, struggling between life and death, dying in slow agony under our eyes. And we had to look him full in the face. He was still alive when I passed in front of him. His tongue was still red, his eyes were not yet glazed. Except that there was no child. And probably no crucifixion-style hanging at all. Arthur Butz reminds us12 that Bruno Dössekker, who never came near a German concentration camp in wartime, published an acclaimed purported memoir of the ordeals of a certain Jew, Binjamin Wilkomirski, at Majdanek, Auschwitz, and other camps. When he was exposed as a fraud, many important supporters remained loyal to him, on the grounds, roughly speaking, that his account sounded powerful. Continuing on with the issue of age and the part it plays in Elie Wiesel’s credibility as a holocaust survivior—so very related to his credibility as the author of Un di Velt—we go to page 39 in the original 1960 edition of Night. 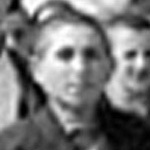 Eliezer and his father have just arrived at Birkenau and been separated from the women and children into the men-only group. 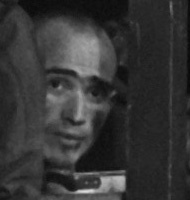 A prisoner speaks to him. It was one of the prisoners who asked me this. I could not see his face, but his voice was tense and weary. The other grew more furious than ever. He disappeared into the night shadows. In May 1944, Elie Wiesel, born Sept. 30, 1928, was 15 years old; his 16th birthday was still four months away. So what does it mean for the star “witness” of the story, Eliezer, to say he is 14, going on 15? If this is Wiesel’s “deposition”, why would he make himself months younger than he really was? Does he want to emphasize his tenderness and vulnerability? Or was he simply careless, forgetting what his age would have been and what season of the year it was? Once again, the error was corrected in the 2006 new translation—there he answers that he’s fifteen, not “going on fifteen.” The prisoner tells him to say he’s eighteen. “How old are you? He asked, in an attempt at a paternal tone of voice. “Eighteen.” My voice was shaking. Should I say that I was a student? “Farmer,” I heard myself say. Apparently, this means that Eliezer and his father are accepted to be 18 and 40 years of age. Eliezer is adding three years to his stated age of 15. This forces us to ask once again those never-satisfactorily answered questions: Were the Germans so easily fooled or were they not? Did they or did they not keep careful records? Did they follow their policies to the letter or were they sloppy at times? It seems to depend on what’s most convenient for the camp survivor’s story—on one occasion they lie about their age and get away with it; on another, the SS keep impeccable records and know everything. According to holocaust historiography, if, upon arrival at Birkenau, you were too young or too old to work [or were a woman with young children], you were sent immediately to the gas chamber. [Although in Night no such name is used; it is always called the crematoria.] Thus, we are to believe that Eliezer and his father were saved from that fate by lying about their ages. I had to stay at Buchenwald until April eleventh. I have nothing to say of my life during this period. It no longer mattered. After my father’s death, nothing could touch me any more. If Wiesel had been entered into Birkenau as an 18-year-old, he would now be listed as 19—not a child. Why would he have been assigned to the children’s block after the death of his father? It’s true it was later called the orphan’s block by some, but that term may have come about later when the underage inmates who could not be reunited with a family member were sent to an orphanage in France. 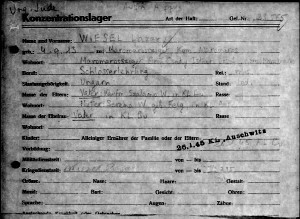 We have no records for the death of Shlomo Wiesel at Buchenwald nor a registration [entry] number for either Shlomo or Eliezer Wiesel. But whatever the facts are finally determined to be, according to Elie Wiesel’s later writing he was there and was once again sixteen years old. 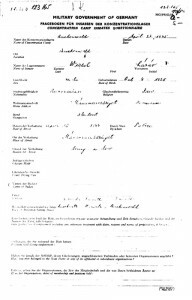 And, in fact, the birth date on the transport list to France for the person of the mysterious Lázár Wiesel was 1928. First, he calls his book an autobiographical story, a kind of testimony. These are modifiers indicating it is not a true autobiography, or a true testimony. Then, he saw options in it for further exploitation. From this story—Un di Velt Hot Gesvign as the original treasure-trove?—he can get a whole career-ful of books. Wiesel has authored nearly 40 books, all given credence and believability because of this one Yiddish original. He also calls it “one witness speaking of his own life, his own death.” Of course, Eliezer didn‘t die, but Wiesel is referring to his spiritual death after undergoing the horrors of the holocaust, as he describes it. However, and this is very important, the author of Un di Velt was not a “corpse” looking back at himself in the mirror at the end of the book, but a revitalized man [not a child] looking forward to his regained health, his freedom, and the opportunity to give his account of it in his own way. This passage now reverberates very strongly to me that Wiesel is confessing his uncertainty as to how to construct a holocaust survivor story that will be convincing. He lacks experience—not in writing, but as a camp inmate. He lacks a framework—that would be the personal experience that he doesn’t have. He doesn’t know how to tell it, not because he lacks writing expertise, but because he lacks first-hand knowledge. This, of course, doesn’t make sense; it’s nonsense talk. Wiesel decided to wait until he could learn more about it, read what others wrote, talk to survivors. 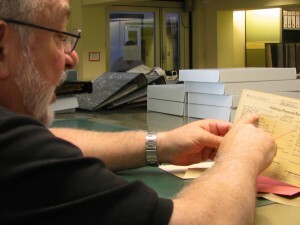 Then, lo and behold, he found a manuscript that he could claim to be his very own, and his real career was launched. “Elie Wiesel and the Scandal of Jewish Rage,” Naomi Siedman, Jewish Social Studies, Dec. 1996. Elie Wiesel, All Rivers Run to the Sea, Knopf, New York, 1995. “A Thousand Darknesses”, Ruth Franklin, The New Republic, March 23, 2006. In the New York Times for January 17 , Michiko Kakutani wrote in her usual plodding prose, with her usual aversion to any unconventional thought, that “Mr. Frey’s embellishments of the truth, his cavalier assertion that the ‘writer of a memoir is retailing a subjective story,’ his casual attitude about how people remember the past — all stand in shocking contrast to the apprehension of memory as a sacred act that is embodied in Oprah Winfrey’s new selection for her book club, announced yesterday: Night, Elie Wiesel’s devastating 1960 account of his experiences in Auschwitz and Buchenwald.” From Cockburn, see footnote 8. Elie Wiesel, Night, Hill and Wang, New York, 1960. Wiesel, “An Interview Unlike Any Other,” in A Jew Today, trans. Marion Wiesel (New York, 1979), p.15. Elie Wiesel has been identified – in some cases has identified himself – in these three photographs. A close examination brings up many questions. Do any two of these pictures look like the same person? You might think that picture #2 or 3 has a vague resemblance to picture #1, but pictures 2 and 3 don’t in the least resemble each other. The man in picture #2 has a sharp aquiline nose, high cheekbones, full lips and looks quite a bit older than 16 years of age, while the round-headed lad in picture #3 has a wide face, short nose and low forehead. He looks younger than 16. 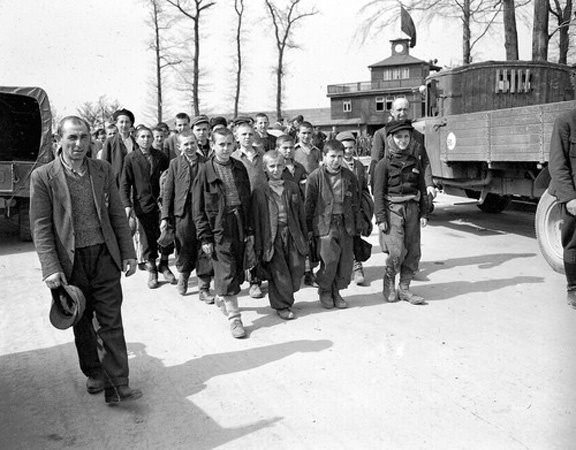 Picture #2 can be recognized as a close-up from the Famous Buchenwald Liberation Photo. [see page under The Evidence]. Weasel has maintained since the 1980’s that this is his face. Picture #3 is taken from the photograph below. 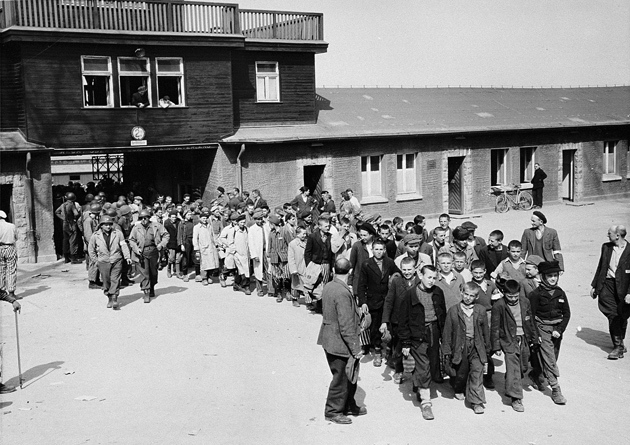 He is the boy in front of the tall boy in the left column of boys leaving Buchenwald, fourth from the front (the third boy in line is hidden from view). He’s been identified as Elie Wiesel by Prof. Kenneth Waltzer on his Michigan State University website. Wiesel has not denied it. The U.S. Holocaust Memorial Museum, however, doesn’t claim that Elie is in this picture (see USHMM below). 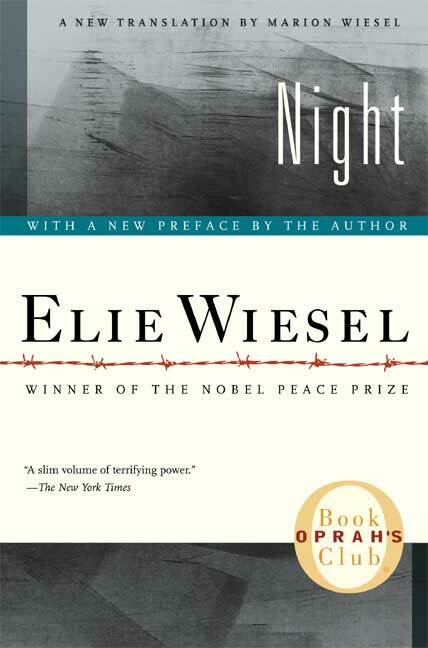 In “Night,” Wiesel says that when he viewed himself in a mirror after liberation, he saw a corpse gazing back at him. 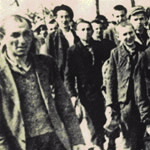 But another picture [the one above] taken after liberation on April 17 [he has the date wrong], when the boys were led to the former SS barracks outside the camp, shows Wiesel marching out, fourth on the left, among a phalanx of youth moving together, heads held high, a group together guided by prisoners who had helped save them. Waltzer teaches German history and directs the Jewish Studies Program at MSU which includes courses on the Holocaust. 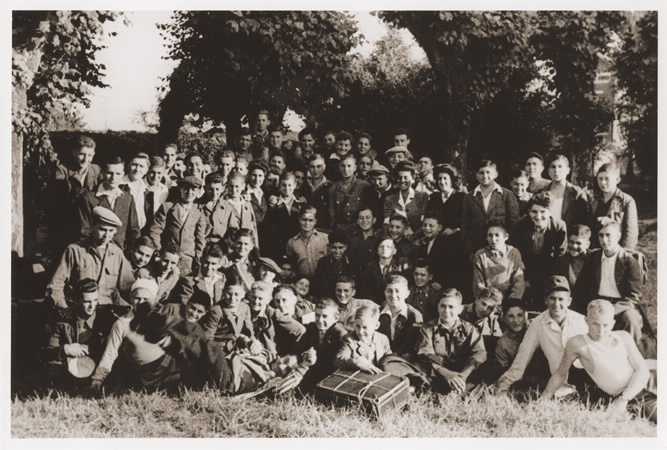 He is writing a book about the orphan boys at Buchenwald titled “The Rescue of Children at Buchenwald.” Will Prof. Waltzer offer an explanation in his book for Elie Wiesel’s fit appearance in this photograph? 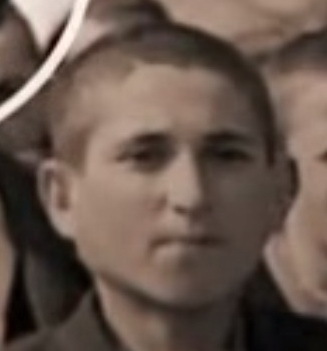 He also accepts the man in the barracks photo as 16-year-old Wiesel. But then he has to, doesn’t he. How will he reconcile these two faces only eleven days apart? The U.S. Holocaust Museum dates this picture simply as 1945. It is definitely summer; the boys are dressed in their suits and “traveling clothes,” as if they had just arrived. A large suitcase is being held by a young boy seated in the front row. It fits in every respect the records for the Buchenwald transport that left Germany for France on July 16, 1945. Wiesel is careful not to give dates for many important events in his memoir All Rivers Run to the Sea. In this book he writes in detail about his trip to France and his early years with the Oeuvre de Secours. Yet he gives not a single date, until he mentions that he first met his future mentor, Shushani, sometime in 1947.1 He writes of being active with the other Jewish youths – engaged in classes, choir practice, trips and flirtations – but strangely not a single photograph is available. 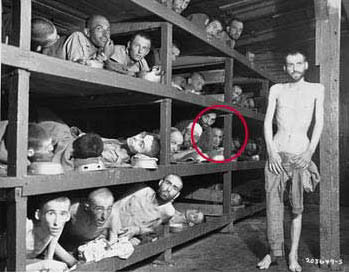 The next picture of Elie Wiesel I have found was taken in 1949. In fact, it is the first picture of him we can be sure of since the 15-year-old portrait of 1944, prior to deportation (picture #1). 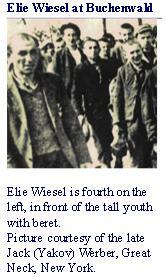 Why are there no pictures of Wiesel during all the years he was in the Jewish welfare system in France? We are told his sister Hilda, living in Paris, recognized him in 1945 in a photograph of OSE orphans that was published in a newspaper or magazine. What picture was that? [This question was finally answered. 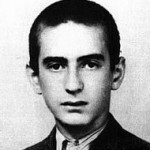 See http://www.eliewieseltattoo.com/another-photo-of-young-elie-wiesel-that-is-not-elie-wiesel/ The group photo above? There are no easy or available answers to these questions. It doesn’t take much imagination, however, to consider that it’s because there aren’t any that “fit” the story. I find it more than ironic that on the page “Elie Wiesel Timeline and World Events, 1928-1951” there are three photographs and Elie Wiesel is not in any one of them! 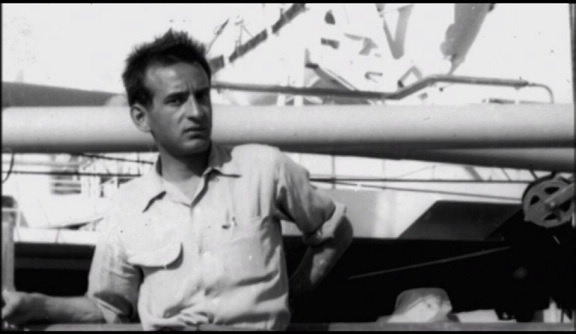 The next picture I can find of Elie Wiesel was taken in 1949, on a ship heading for Israel. We see here the real Elie – long, narrow face, long nose (but not aquiline as in picture #2 above), large ears, high broad forehead, a slender build. He is 20 years old and a journalist, and has probably never looked better. [Maybe that’s why the picture was released.] We learn in his memoir that on May 14, 1948, when David Ben Gurion read out the Israel Declaration of Independence, Elie Wiesel had been working already for around six months for the Irgun Yiddish weekly newspaper Zion in Kamf (Zion in Struggle)– yes, Irgun, the terrorist gang. He remained with the Irgun until they closed their European offices in January 1949. He was then persuaded to go where the action was—to Israel. Helped by the Jewish Agency, and traveling with a few Irgun veterans, he boarded the ship Negba in May or June (uncertain), crossing to Haifa, Israel.2 This picture must have been taken during that trip. 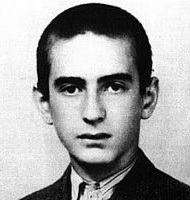 These are the faces of young Elie Wiesel during his “years of travail” that we have at our disposal—not much. I offer the opinion that too much is missing to accept unquestionably the story of his life, during these years 1944-1950, that has been manufactured for public consumption. 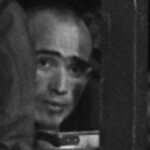 Only two pictures: before Auschwitz and after his connection with the orphanage was concluded, are definitely him. The search continues. Elie Wiesel, All Rivers Run to the Sea, Alfred Knopf, 1995, p 121.